Description: Floor plan flyers are quite essential for real estate companies as they need to show the floor plan of the apartment/houses they sell. This floor plan flyer is available to download and modify. You can easily edit the whole floor plan, as well as the text and background. 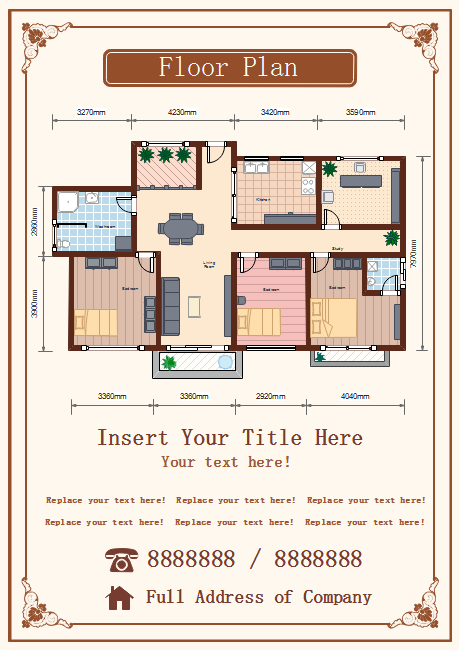 For people who want to make nice floor plan flyer with short time, this template is a great start.